Religion has an influential role in the decision to bear children. 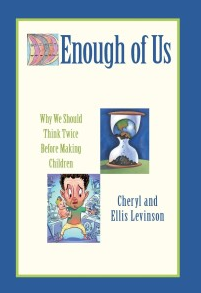 In Enough of Us: Why we should think twice before making children, we examine religious motivations for procreation. In this column we’re going to look at Jewish positions (no pun intended) on choosing whether or not to have children. 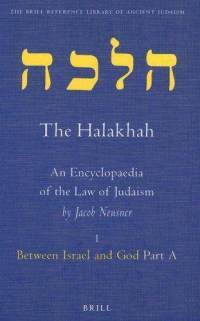 Birth control is permitted in halakhah, as long as couples are committed to have at least two children, one of each gender. This complies with the oft quoted phrase, “be fruitful and multiply,” because offspring are considered to be blessings. Birth control is not acceptable in order to remain childfree. Given that in Orthodox Judaism bearing offspring is pretty darn mandatory, how do religious couples cope with the possibility of being childfree by choice? In the March 5, 2012, the “Lady Mama” entry at www.ladymamale.blogspot.com, an orthodox married woman speaks out about reaching age 30 and still waiting “for the desire to have a child.” “In our day and age, I do not think it’s fair to make women like me feel there is something wrong with us just because we don’t have the ‘maternal instinct.’ It’s not fair to tell us we’re ‘overthinking’ the whole having kids thing. How can you not with such an important decision that not only impacts the rest of your life, the lives of all those around you, but most importantly the life of this innocent bystander who did not ask to be born.” Here is a woman who is thinking twice, in spite of her religious influences, however she struggles with the emotional pain of being orthodox and childless. One respondent said that this article spoke to orthodox women who already had a “houseful of kids,” and felt guilty about not wanting to continue to multiply, yet struggled with the halachic obligation to be fruitful. “It will help me with my decision,” she wrote. It seems God dictates that couples are simply supposed to procreate without thinking twice about the long-term consequences. Reform Judaism allows for some opposition to the standard orthodox position on childbearing, but permission to be childfree by choice is not spelled out. This aspect of Judaism sees scripture as a guide, rather than as rules to be followed without question, and allows for the development of personal beliefs within a caring community. The reform movement allows females to become rabbis, and for those who intermarry to be part of the Jewish community. The Reform Movement’s openness may allow for a sliver of light to shine through partially closed blinds. It invites less judgment than Orthodox Judaism, and more discussion, about how there already is enough of us, and why we should think twice before making children. After all, we have to stop sooner or later; the Earth is only so big. I can’t think of anything more influential to our culture than religion. I didn’t know that the ‘rules’ of Judaism had so much to say about this. In my religion the wedding ceremony emphasizes the necessity of having children as a part of being married, even if the bride and groom are elderly. Are you saying that the elderly married couple are expected to somehow ‘have’ a BABY(in vitro, surrogate…)? If they don’t, even if they were YOUNGER, any ‘PUNISHMENT’ to fear? What religion do you practice may I ask? Just curious. I like Unity myself! Personally, I’m all for people getting married, as long as they’re genuinely HAPPY with each other, whether they want kids or not! I strongly AVOID mainstream religion and esp. the fundamentalist kind which preach that marriage=CHILDREN. It’s really a personal decision as one should never be denied a loving relationship just because kids are not desired. I and my guy will someday be wed even tho’ we’re in our FIFTIES! But neither of us has any interest in raising kids and esp. not at our AGE. While I’m aware that some women take the RISK of producing Down Syndrome babies and other handicaps due to their eggs being OLD, I would NEVER! Yes, some of those women make healthy babies but the risk of a handicapped child rises sharply with advancing YEARS. Plus, pregnancy itself becomes more dangerous! I’ve read where child-FREE couples/singles are on the RISE. Great, considering we’re at 7 BILLION Earthlings and COUNTING!!! Thanks for your post. We are not sure what you are saying. As for the first question, the answer is “no.” As to our religious beliefs, or lack thereof, we do not want to cloud the issues we discuss with personal and emotional diverrsions, As for the rest, we would greatly appreciate a clarification of your ponts. Which is better for the child, the parent(s), society, and the planet: an unwanted, unaffordable, unloved, neglected, abused, abandoned child, or preventing the ovum from being fertilized? How could any religion be in favor of the former? Founding Non-Father Emeritus of NO KIDDING! We are not judging religions. Our focus is non human reproduction and its consequences. We brought up Judaism – as we will other faiths from time to time – as part of an exploration of the sources of the human drive to procreate, reproduce, bear children, or whatever you would like to call it. Our book. “Enough of Us” deals with many aspects of reproducing and its consequences. You can check out a chapter for free at this web site. The person making the decision whether or not to have children (or how many children to have) should be the same one who will have to live with the consequences of the choice. I have been married twice, I am going to be married again, my partner and i are both converts to Judaism. I have no children from my previous relationships, he has a daughter. We will not be having any children of our own. (Even if we were younger, this would be the decision) I struggle quite often with this decision, it makes attending temple difficult.